Kurt clipped articles from newspapers and magazines like crazy, but rarely kept an entire page let alone a section of the local paper. 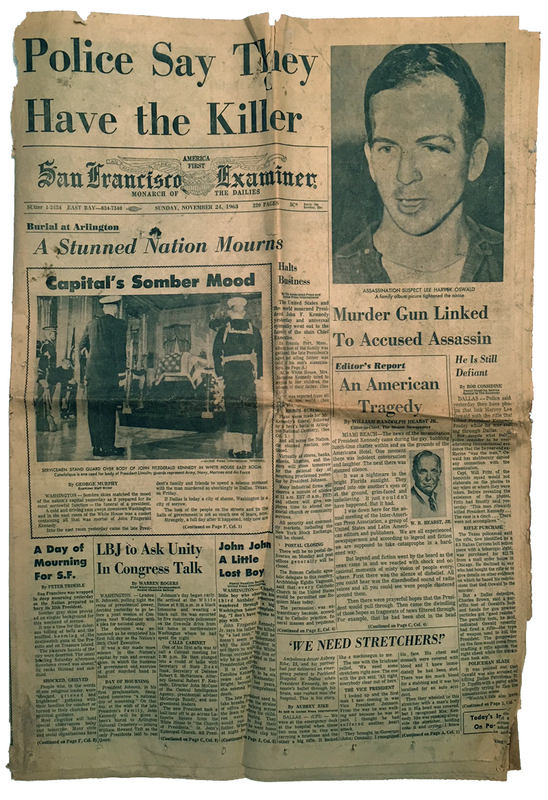 The exception is this, the front section of the San Francisco Examiner from 1963. Of note is the slogan in the paper's masthead: "America First."